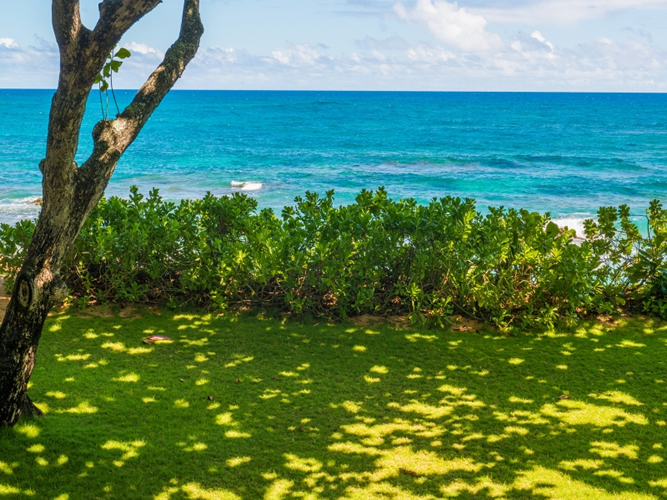 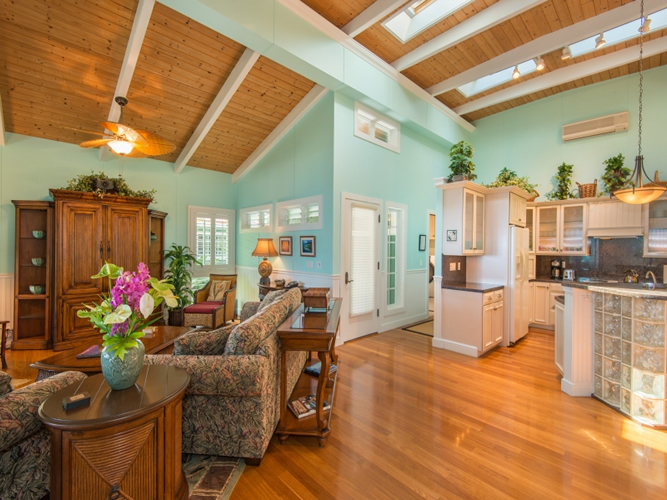 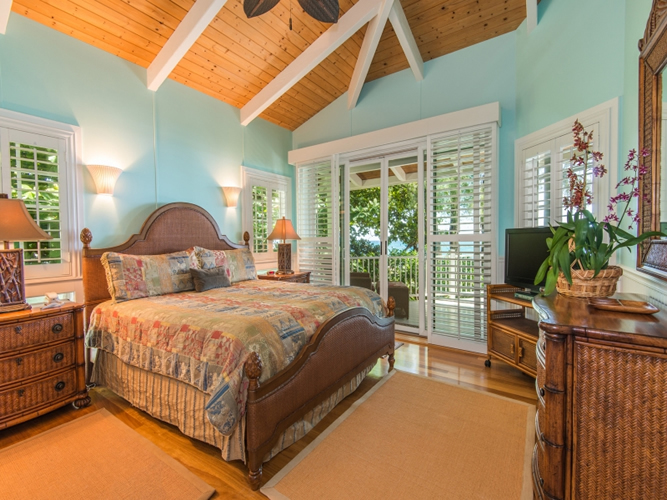 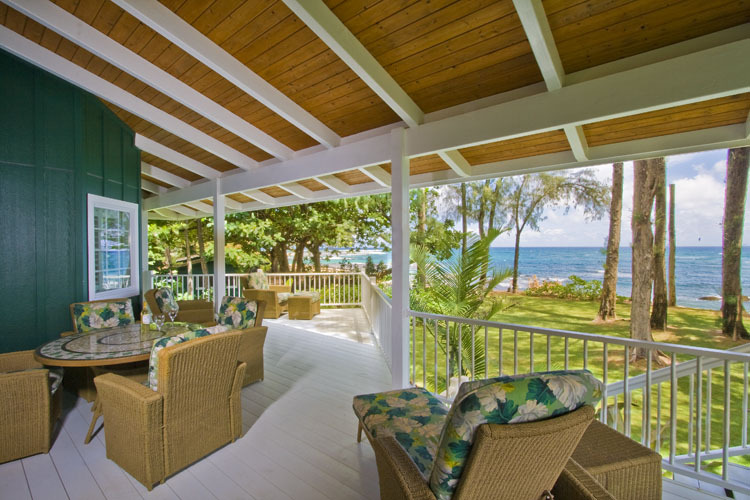 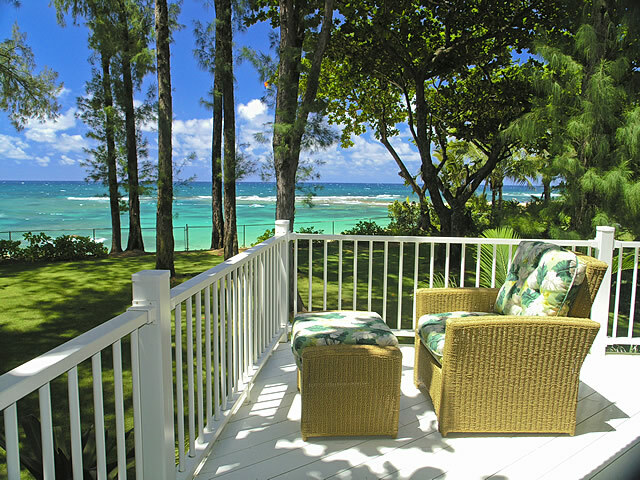 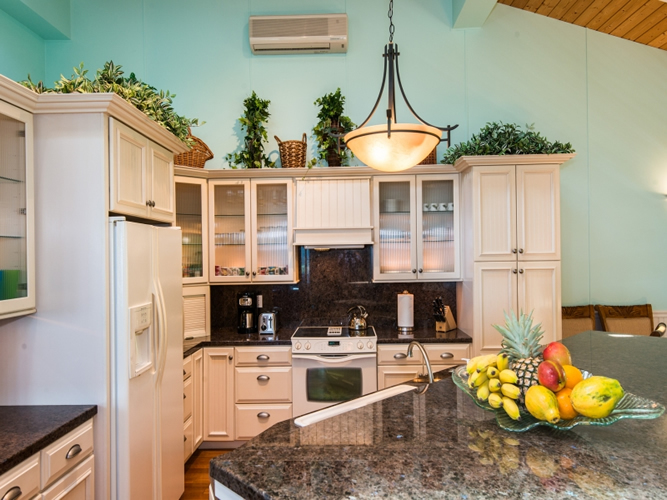 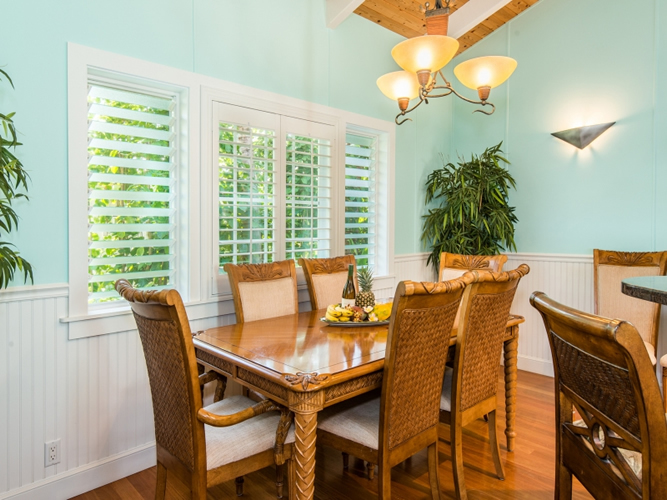 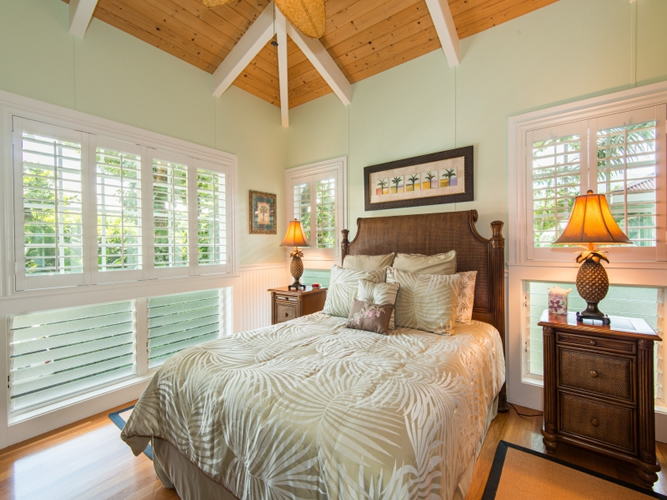 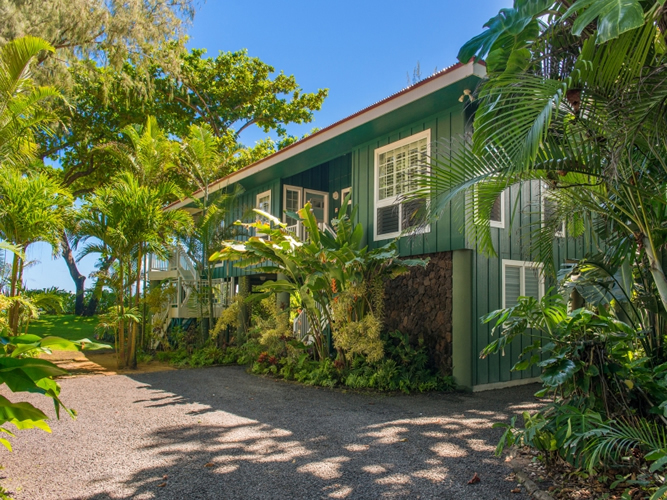 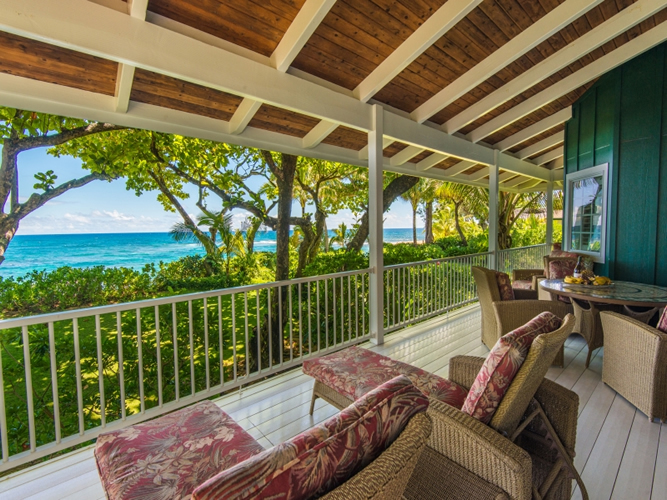 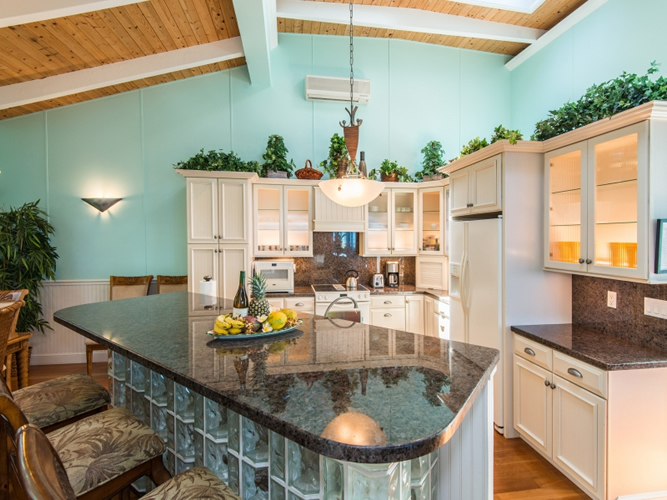 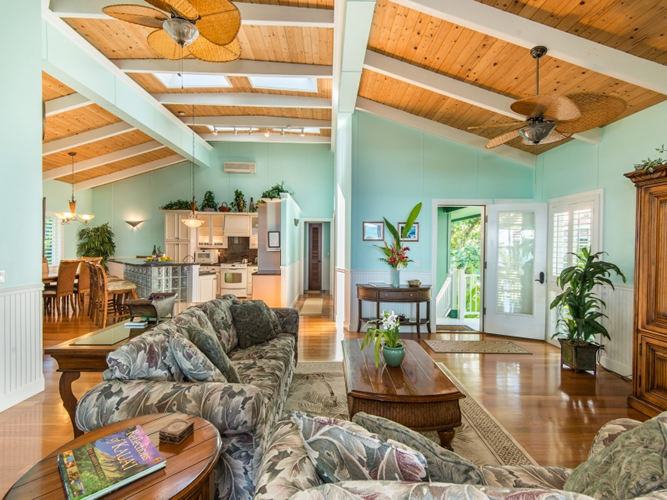 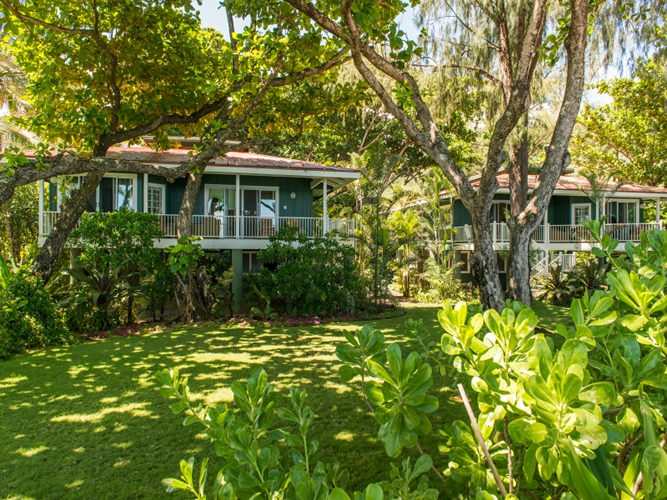 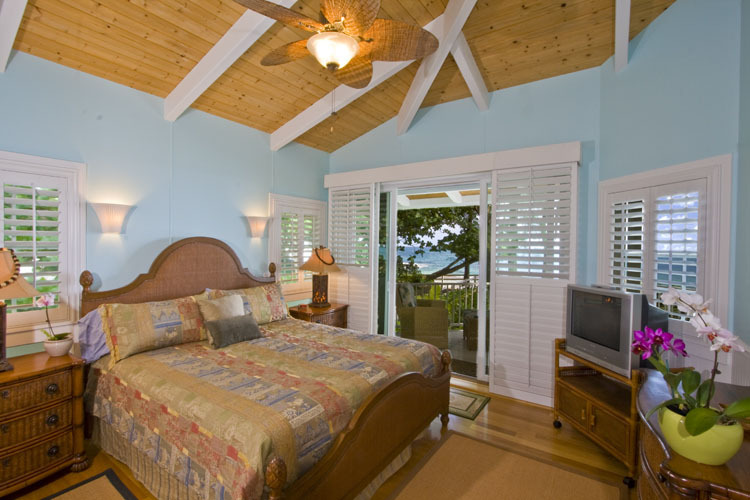 Hale Naue – Luxury Vacation Homes, Inc.
Hale Naue is one of two great beach homes located in Haena, Kauai. 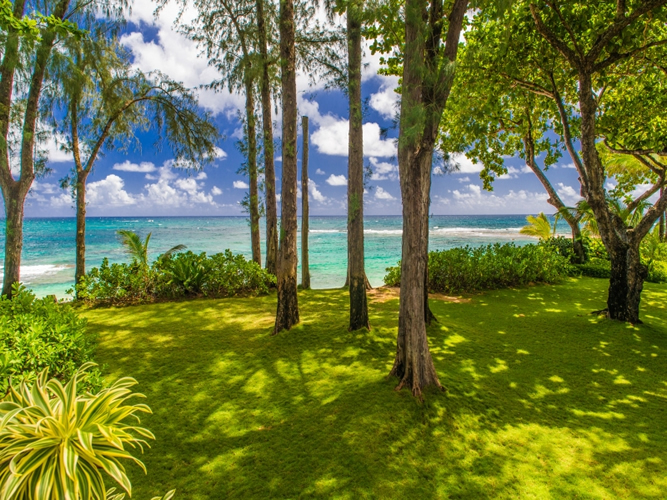 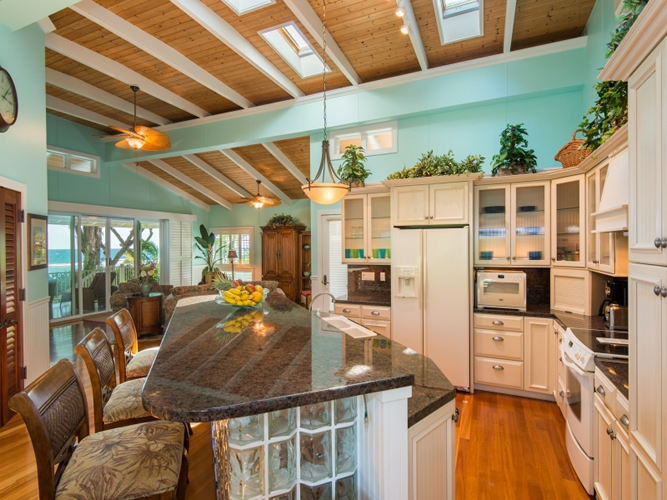 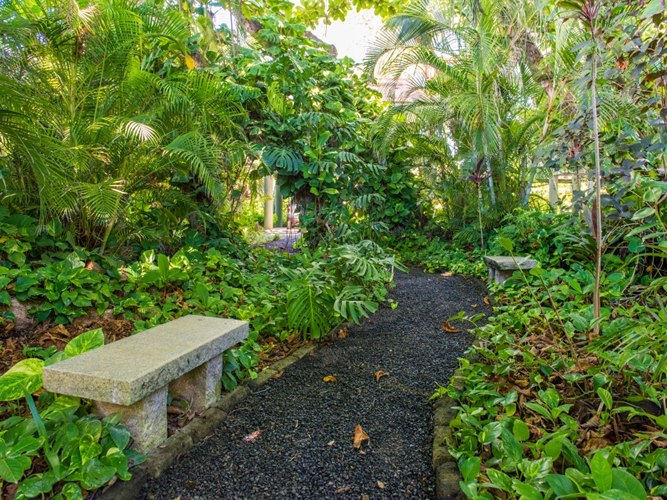 The lot is comprised of two tropical 3 bedroom, 2.5 baths beachfront homes. 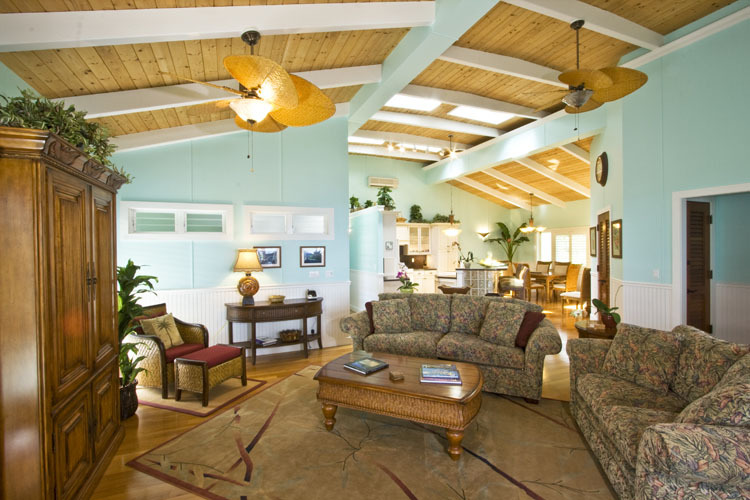 Each house can accommodate up to 6 people and the houses can be rented individually or together. 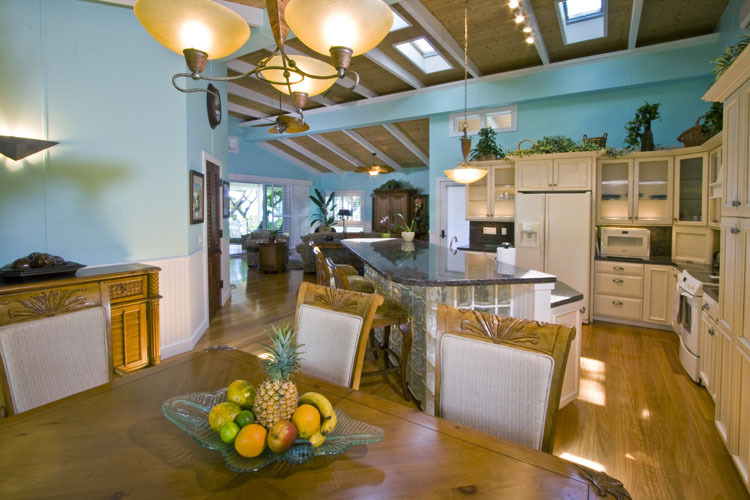 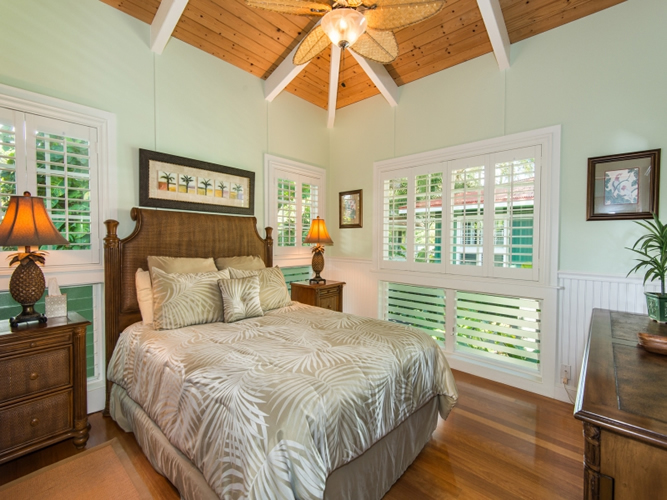 The inside of each home is decorated with Tommy Bahama furnishings along with Australian beechwood floors and granite counter tops. 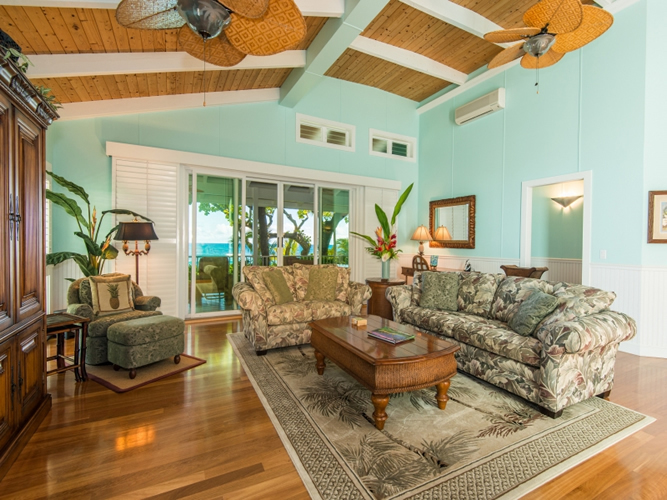 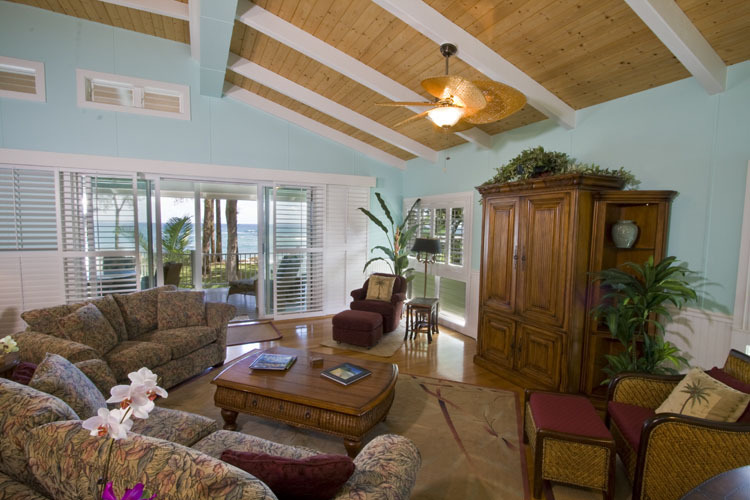 The living room, kitchen, master suite all have ocean views. 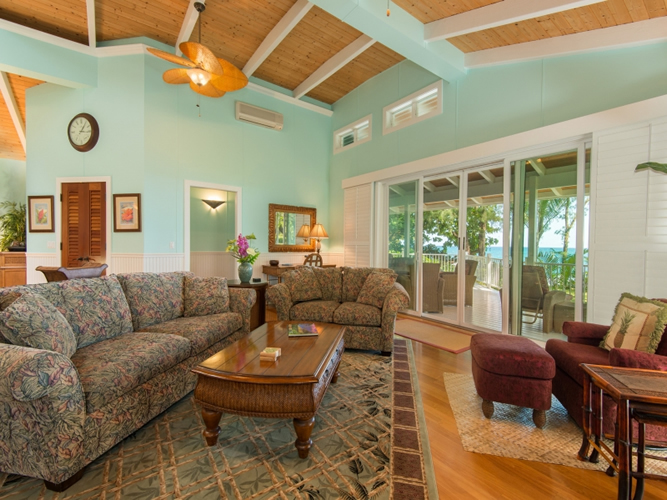 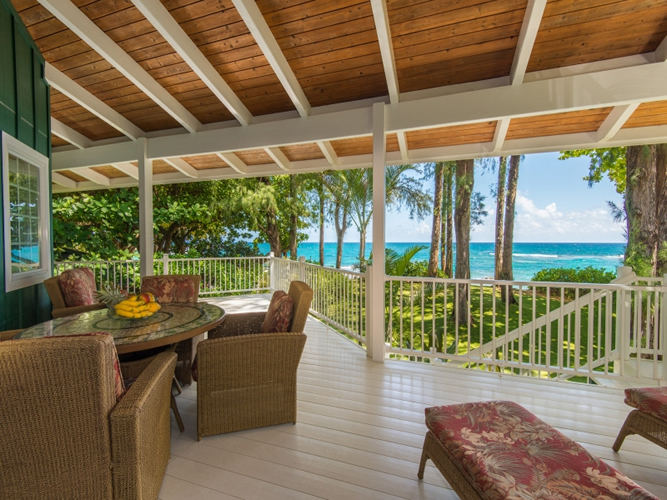 The covered lanai has comfy furniture and there is also a BBQ and outdoor shower. 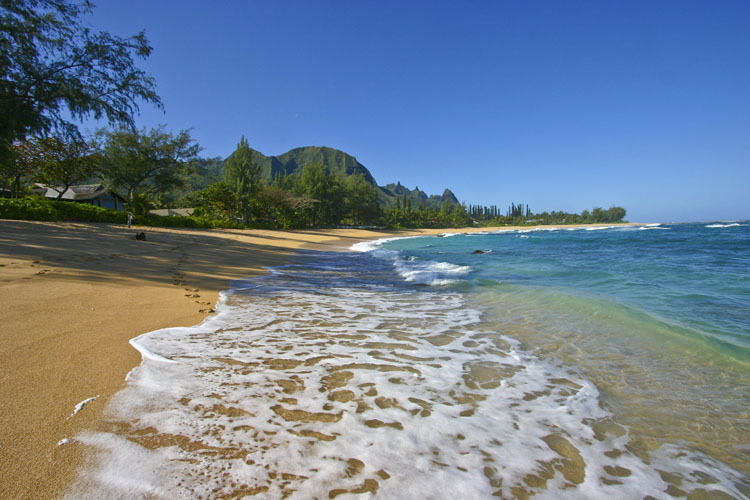 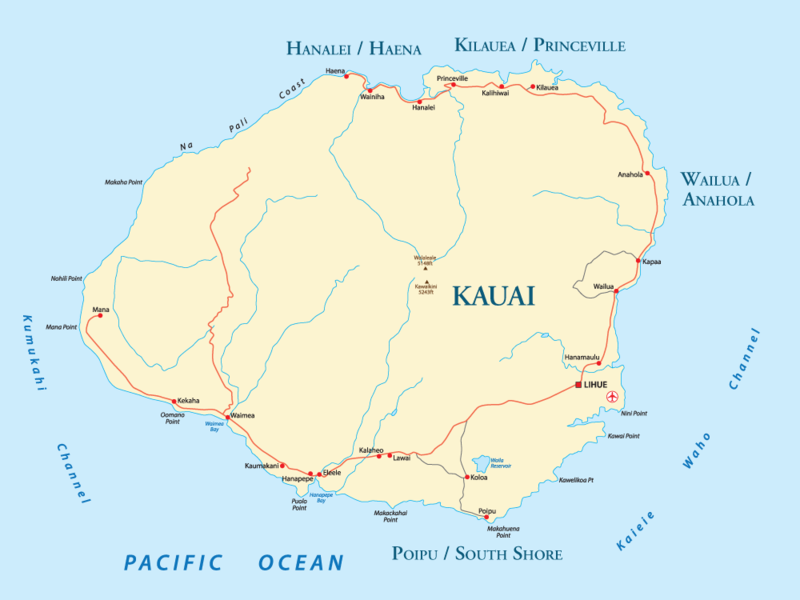 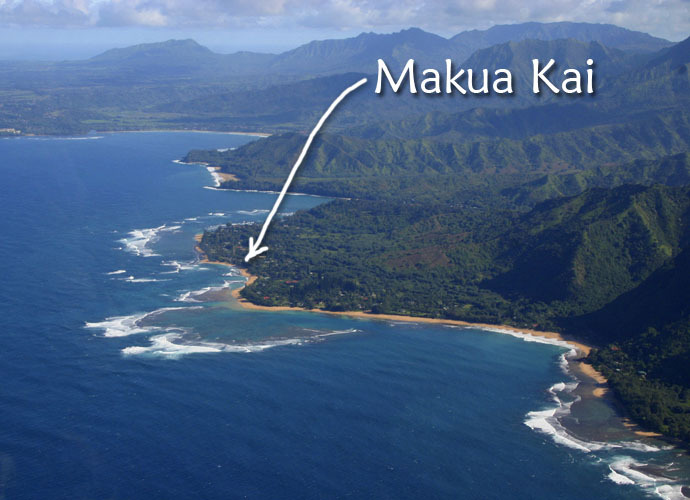 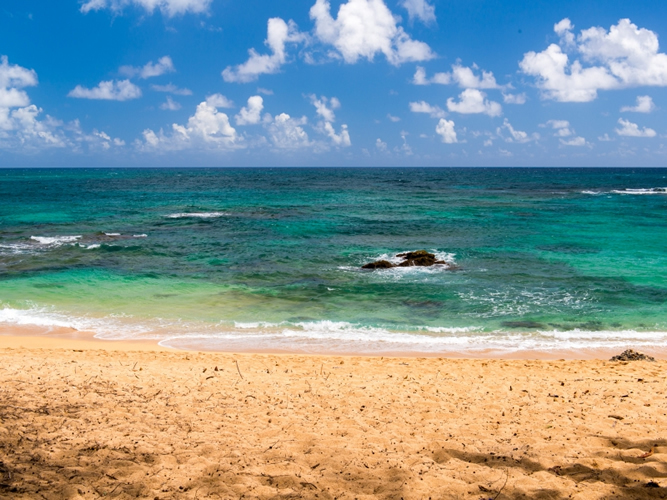 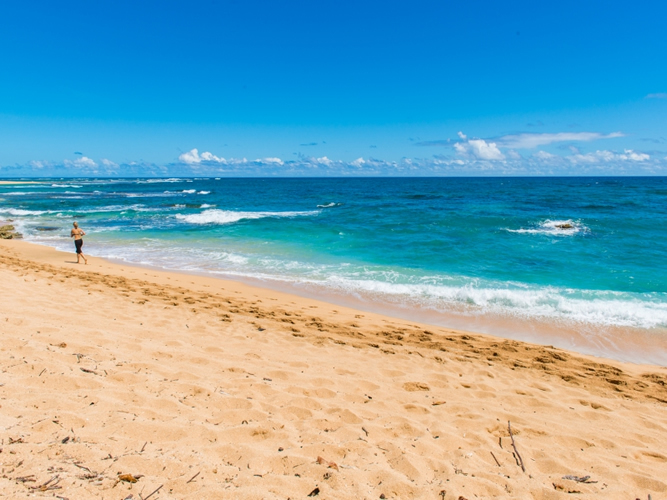 Located about 30 feet from Tunnels Beach which is considered the best snorkeling spot on Kauai. 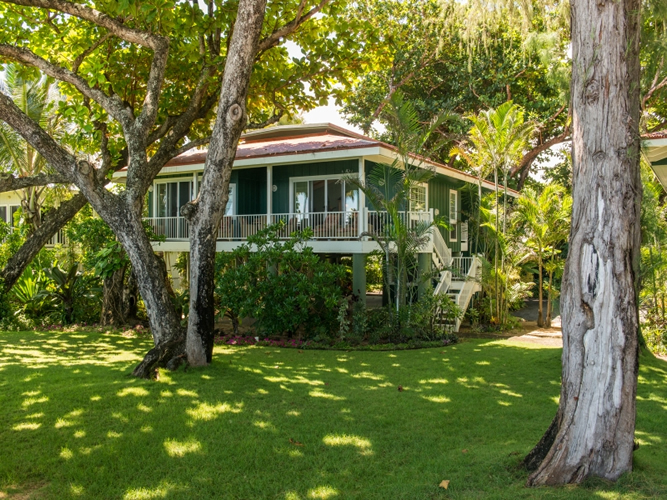 There is an identical house next door that can also be rented. 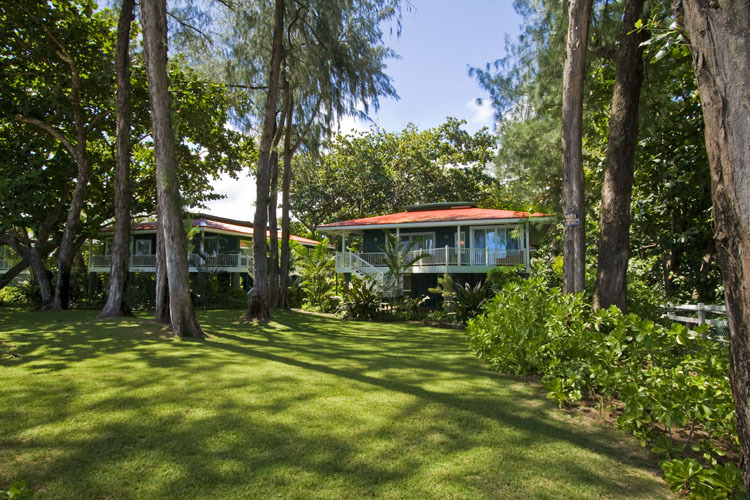 The YMCA camp is nearby and is sometimes used by groups of school kids.